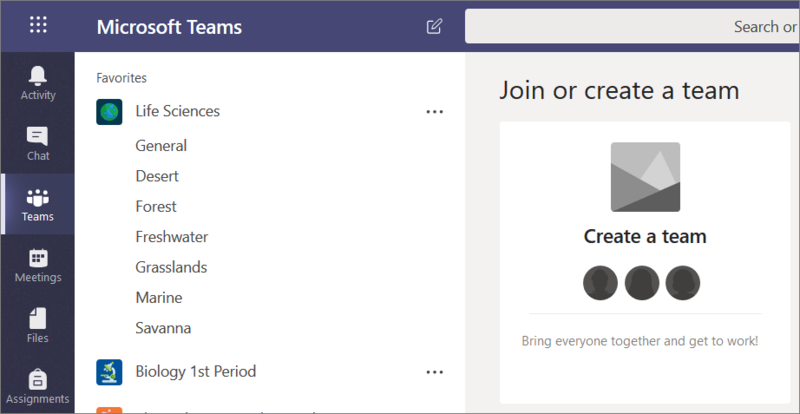 Connect regularly with other educators and continue personal career development through professional learning communities (PLCs) in Microsoft Teams. Form PLC teams around interest areas, grade levels, or across subjects. New educators can be added at any time, and team members can share files and collaborate in channels, even when they’re not at school. 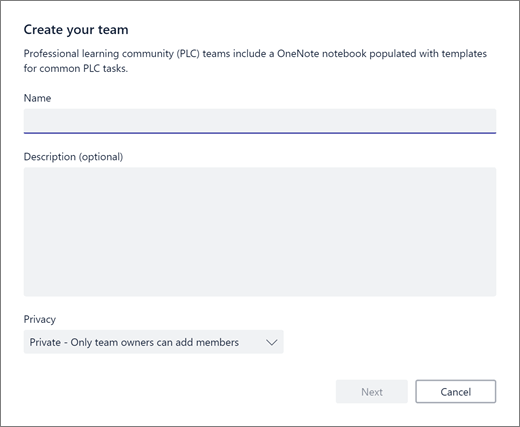 Each PLC team is linked to its own OneNote notebook for further collaboration. Select Join or create a team at the bottom of your teams list. Choose the Create a team tile. Enter a name for your team. Enter a description then select Next. For example: High school math teachers’ group. Once you've created a PLC team, follow the steps to add other educators as team members.